1 last question: will the MNR scrub the “HUMAN” from the Cause field of Parry Sound 7 too? 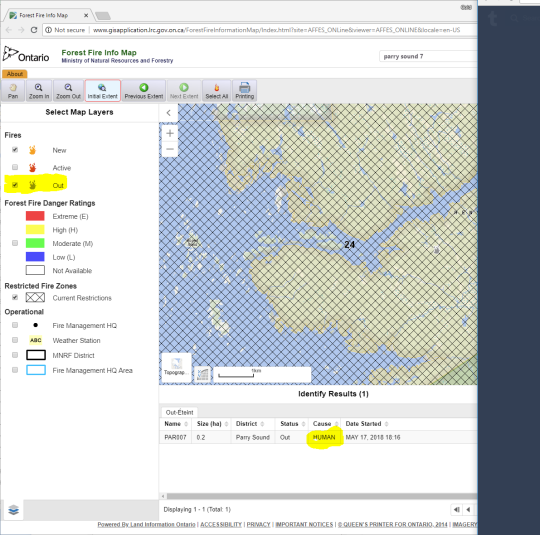 I’ve created a view of both prospective industrial wind turbine locations and the initial locations of the 2 fires. A mandatory evacuation order was issued Friday for the Key Harbour area and the municipality of Killarney, south of the French River Provincial Park, after a fire more than quadrupled in size to about 19 square kilometres, according to Ontario’s Ministry of Natural Resources and Forestry. Wind Concerns Ontario noted, on Facebook, comments by “an employee” working on the industrial wind turbine facility being constructed just off of Key Harbour. 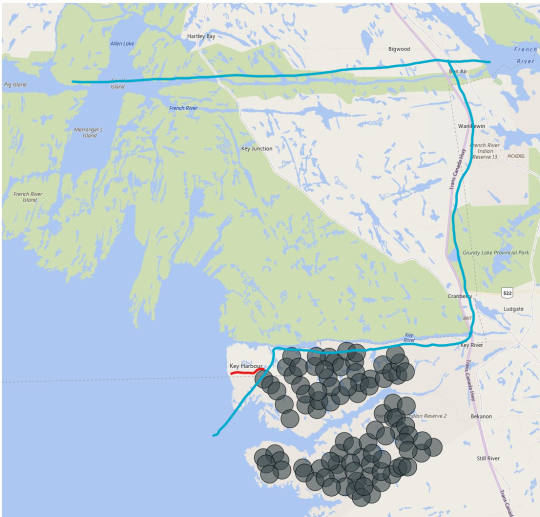 I’ve marked up a map indicating the border of the evacuation order area, Key Harbour – the grey circles indicate possible industrial turbine locations in the facility under construction. 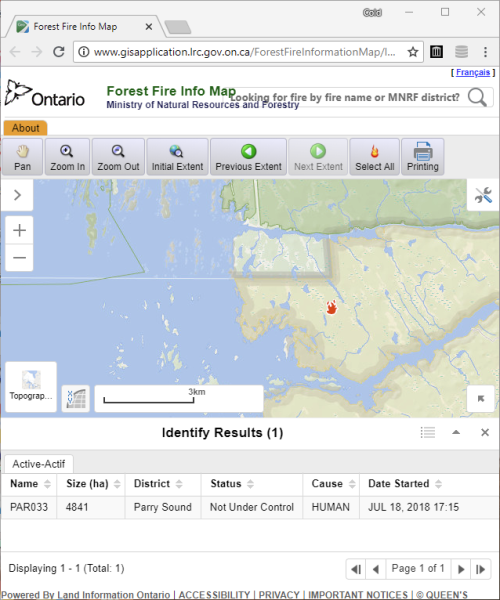 I was messaged with this link showing the Ontario Ministry of Natural Resources and Forestry does indeed show the cause of the fire as “human”- and it places the fire icon within the IWT cluster. A week ago I was going out the North Channel of Byng Inlet and took this photo of the fire. I don’t see a picture! If you e-mail it to me I can add it to the postscript.